What can you do with leftover celery sticks from a relish tray or the last few ribs of celery you didn't use up in a recipe? They aren't going to stay crisp forever, but you know you won't get around to eating them in the next few days. Is it possible to freeze them? And if you freeze them, what can you use them for? Yes, you can freeze celery, but it will lose its crispness. For this reason, frozen celery is best used in soups, stews, and other hot dishes. You won't be able to use defrosted celery for a relish tray or making ants on a log. Eating it raw just won't work. It also won't be ideal for stir-fry or other dishes where you want a bit of crispness retained in cooked celery. How Long Does Frozen Celery Keep in the Freezer? You should use frozen celery that was not blanched within two months. If you blanch it before freezing, use it in 12 to 18 months for the best quality. It can keep indefinitely if your freezer temperature is constant. Wash the Celery: Wash it to remove any dirt. If the stalks are still connected, separate them so you can wash away the dirt that is always clinging at the bottom. You should remove any portions that are discolored and any coarse strings. Cut or Chop the Celery: You will want to prepare the celery before you freeze it, cutting or chopping it into the form you will be using for soups or stews. A little prep work now will be much easier than trying to cut the defrosted celery later. Blanch the Cut Celery: You can skip this step if you will be using the frozen celery within a couple of months. But for longer storage, blanching will stop the enzymatic processes in the plant and kill bacteria and mold. Prepare by putting on a pot of water to boil and having a bowl of ice water set out. 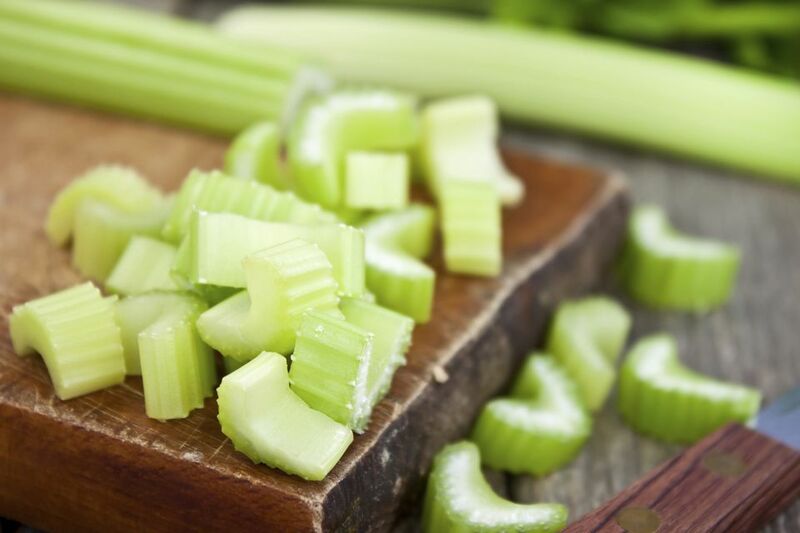 Plunge the cut celery into the hot water for three minutes, then chill it in the bowl of ice water. After blanching and cooling, you will want to pat the celery dry before you place it in the freezer for flash freezing. Flash Freeze the Celery: Spread out the celery on a baking sheet and freeze it in your freezer for a couple of hours. Package the Celery for Freezer Storage: Once the celery is frozen hard, you can package it for freezer storage. You can place it into ziplock plastic freezer bag, or you can vacuum-seal it in freezer pouches. Think ahead to how you will be using it and package it in portions that will match your future recipes. Be sure to label the bags with "Celery" and the date that you froze it. The best uses of frozen celery are for stuffing, soups, stews, and sauces. You can add it to the recipe straight from the freezer without thawing. It will still add celery flavor to the dish, even though it won't have any crispness.